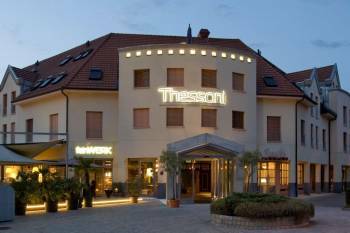 Welcome to the City Partner BoutiqueHotel Thessoni classic, the hotel for seminars and fans of deep relaxation. A building of timeless design that effortlessly combines the themes “swissness” and artisanship. Enjoy the crackling fireplace in our feuerLOUNGE. Experience the tastes of Switzerland in a completely different way in one of our three restaurants. Or philosophise about life with a Cohiba and a glass of red wine in our Buena Vista Lounge – our hotel is a place for connoisseurs and those who look at things differently. In our exceptional banquet and seminar rooms, perhaps, or in the spinnerei or lernGARAGE. Thessoni classic offers 49 comfortable guest rooms and suites, and combines the advantages of a city hotel with the tranquillity and convenience of a country hotel. The Katzensee nature reserve is right around the corner, and it´s only a stone´s throw into the city of Zurich. Spinning thread is pure craftsmanship. It’s all about producing yarns from a heap of fibres. To put a spin on something can be a synonym for reinterpreting things, taking new perspectives. It’s often an important process in developing new concepts. To ensure the success of a seminar, for instance. Taking new perspectives can be a challenge, but also be proof of diligence, inner strength and maturity.You have certainly got it by now: we offer you the space to put a spin on whatever you want. Feel free to break with convention, for once. That may come handy if you hold your seminar in our halls with dreamlike names such as spinnerei (spinnery) or denkWERKSTATT (thinkingWORKSHOP) or lernGARAGE (learningGARAGE). There you can really go for it. Get your ideas and concepts on their way right there. We wish you every success.